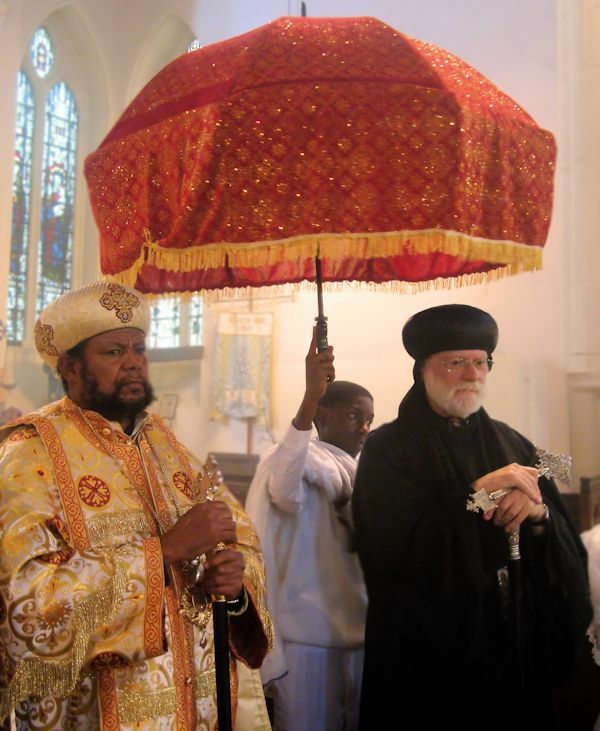 For the second year running, Abba Seraphim was happy to attend the annual patronal festival of Saint Mary of Zion (Tserha Tsion) Ethiopian Orthodox Tewehedo Church in London on 3 December. The congregation is currently worshipping in St. James the Great Church in Lower Clapton but has recently purchased an adjacent site at 229 Lower Clapton Road, which includes a former cinema, which had lately been used as a night club). Imaginative plans are in hand to convert this building along traditional lines, with the historic Church of St. Mary of Zion at Axum as the inspiration. The project also includes a community hall, school rooms and an episcopal residence. This parish has a long history of over thirty years and became established under the oversight of the late Archbishop Yohannes (died 1997), who served first as priest-in-charge and later as Bishop of Western Europe with his seat in London. Since 2006 Abuna Antonios has been the resident Ethiopian Archbishop. In a brief address to the congregation, at the conclusion of the liturgy, Abba Seraphim spoke of his delight to share in their festival and participate in the holy joy of the congregation, and especially at their purchase of the premises after many years of searching. This was a true blessing of God and he congratulated them on their faithfulness. He not only brought them greetings from their brothers and sisters in the British Orthodox Church, but also as one of the Vice-Presidents of the Council of Oriental Orthodox Churches in the UK.